Bite into a coffee flavored snow cone from Hawaiian Shaved Ice and feel instantly refreshed and ready to go! Made with real Columbian coffee, this delicious sno cone is the perfect treat to enjoy when you�re just hanging out with friends and family. 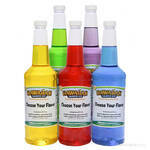 It has a calming, smooth flavor that will leave you feeling peaceful and relaxed, as well as refreshed and energized. You will feel like you�re sipping on a fresh cup of coffee; frozen of course! 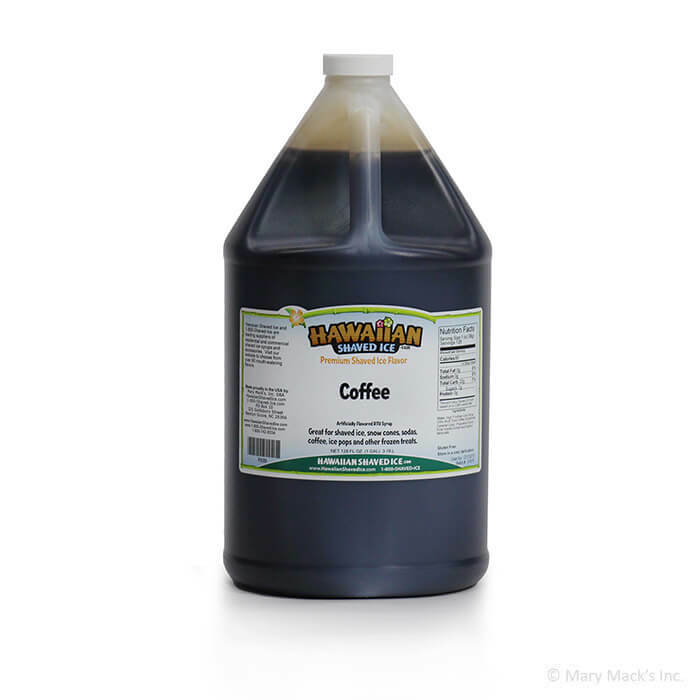 Purchase a gallon of coffee flavored snow cone syrup today. Trust us, you won�t want to run out of this flavor, you know how people get without their coffee. Withdrawal from this shaved ice treat may have the same effect! This flavor is also available in the quart size, or can be combined with other fantastic Hawaiian Shaved Ice flavors in an assorted package! Get yours today!